Like the plenty of fish in the sea, there are plenty of children's books about fish out there. 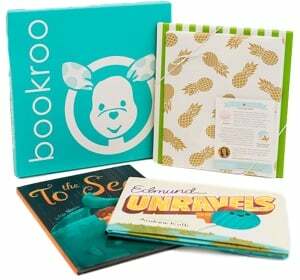 We've narrowed it down to the best of the bunch so you can have a swimmingly time reading these with your little ones. From fact-filled reads to fantastic favorites, these fishy tales are sure to be a hit! Teaches about emotions with illustrations of fish portraying these feelings, including curiosity, sadness, and confusion. The gorgeous, Caldecott Honor-winning tale of a very clever fish by beloved picture book creator Leo Lionni. Deep in the sea lives a happy school of fish. Their watery world is full of wonders, but there is also danger, and the little fish are afraid to come out of hiding . . . until Swimmy comes along. Swimmy shows his friends how—with ingenuity and team work—they can overcome any danger. Winner of the 1964 Caldecott Honor, this beloved tale of a brave little fish has been a favorite to generations of readers. To celebrate Swimmy's fiftieth anniversary, we are issuing a handsome special edition hardcover that includes a bonus poster. From beloved Caldecott winning picture book creator Leo Lionni, this charming tale of sticking together and imagination shows how powerful friendship can be. Two best friends, a minnow and a tadpole, are practically inseparable until the tadpole grows legs and decides to explore the world beyond the pond. When the tadpole, now a frog, returns to tell his friend of the extraordinary things he’s seen, the minnow, now a fish, tries to follow in his footsteps, but quickly finds that land is not what he expected. Friendship truly saves the day in this imaginative tale of a fish out of water. "Follow the adventures of these bright, bold, 3D fish in this ... counting book"--P.  of cover. Big Al, an ugly and fierce-looking fish, longs for friends, but all the other fish flee whenever he approaches them. Then one day, in a display of strength and heroism, Big Al proves that the true test of a friend is how he acts, not how he looks. After his mother, hurrying to her tuba lesson, tells him that a poem will cure his pet fish's boredom, a little boy tries to find out what a poem is by asking friends, neighbors, and other members of his family. Now everyone's favorite squid is just the right size for babies and toddlers Kevin Sherry's unabashed squid may be the biggest thing in this catalog, but he's not too big for even the littlest kids to love. As the hubristic squid goes about bragging, babies and toddlers will get an eyeful of undersea life—from shrimp and jellyfish to turtles and more. With its snappy text and bright, bold artwork, this winning modern classic is guaranteed to have even the youngest of readers grabbing at pages and laughing along. “From there to here, from here to there, funny things are everywhere” . . . So begins this classic Beginner Book by Dr. Seuss. Beginning with just five fish and continuing into flights of fancy, One Fish Two Fish Red Fish Blue Fish celebrates how much fun imagination can be. From the can-opening Zans to the boxing Gox to the winking Yink who drinks pink ink, the silly rhymes and colorful cast of characters create an entertaining approach to reading that will have every child giggling from morning to night: “Today is gone. Today was fun. Tomorrow is another one.” Originally created by Dr. Seuss, Beginner Books encourage children to read all by themselves, with simple words and illustrations that give clues to their meaning. Provides a top-to-bottom look at the ocean, from birds and waves to thermal vents and ooze.